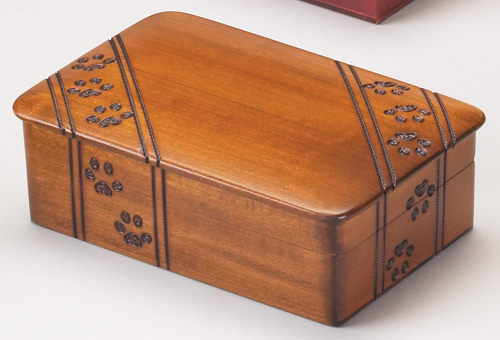 One of three in this series, this paw print urn is best for larger small dogs or larger cats especially if you'd like to place a special collar or tags in with their ashes. Handcrafted in Poland. Available in a smaller and larger size. Dimensions: 6-1/2 in. x 4-1/8 in. x 2 in.